FLORENCE, S.C. – Patheon, a leading pharmaceutical development and manufacturing company, announced last week that a 15,000-square-foot expansion is planned for its Florence location, where it will replace the Roche Carolina operation. The expansion comes as part of a $45 million investment the company is dispersing at sites across its global network to expand services and meet growing customer demands. The Florence expansion includes the addition of a suite dedicated to commercial spray drying capabilities. The facility will contain two spray dryers delivering development and commercial scale spray-dried dispersion services. Spray drying is a process that creates amorphous solid dispersions, a key technology utilized to enhance the solubility of drugs. The suite is expected to be up and running in 2019. 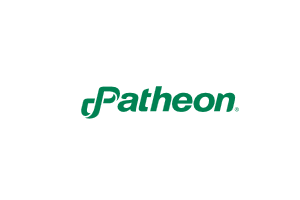 Patheon acquired the former Roche Carolina plant in November 2016. That transaction has resulted in $70.4 million in new capital investment and the creation of 93 new high-wage jobs. The 300,000 square-foot facility is located at 6173 East Old Marion Highway. Patheon also has a second Florence site at 101 Technology Place. Mike Miller, president of the Greater Florence of Chamber of Commerce, said the announcement from Patheon to invest in the local plant is good news for Florence and the Pee Dee region. Buddy Brand, chairman of the Florence County Economic Development Partnership and the city’s mayor pro tempore, said this expansion will bring a significant boost to the local economy, considering the number of high-paying jobs being planned. Morning News reporter Joshua Lloyd contributed to this story.